Night Shift by Lilith Saintcrow – Was reading this last night and remembered how much I love Lili’s heroines. Really need to buckle down and finish this one! Green-Eyed Demon by Jaye Wells – It’s Jaye Wells and set in New Orleans: needless to say I am loving it! Ghost Town by Rachel Caine – Disappointing. This was the first book (since Glass House at least) from the series that I have not enjoyed. The characters just felt… off. Let’s hope the shark has not been jumped! My Soul to Take by Rachel Vincent + Interview with the author! Notice how I am not mentioning any up-next-from-the-TBR books – I really need to get through the books I am reading and not focus on the books I want to read! Lots of great books! A few that are on my shelf and need to be read. 🙂 Enjoy your books this week! Such good books! Ghost Town is a new title to me and it looks GOOD! 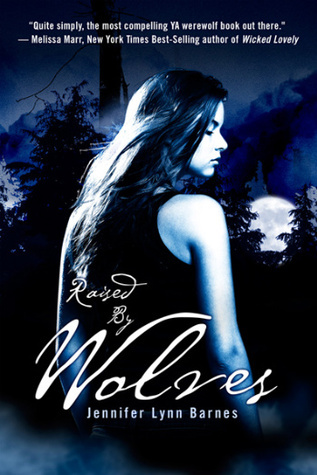 Just got Raised by Wolves from the library – I’m not really a werewolf kinda girl but I’ve heard good things about it. I hope you end up enjoying it! I have seen alot of reviews about Green Eyed Demon, nice week! I only finished three books because I was working on papers for school. Come see what I’m reading now. I find I can accomplish maybe two or three books a week. Otherwise I end up having to put one to the side, partially read, to finish others which have review deadlines. My TBR pile grows and I LOVE IT! I’ve heard of Raised by Wolves and it has had mixed reviews. Not sure if I will attempt it. Have a great week! Swing by when you have a moment to my It’s Monday post on my blog My Bookshelf.